The Spark SP-12000C-CXP4 (color) and Spark SP-12000M-CXP4 (monochrome) are 12-megapixel CMOS industrial area scan cameras with a CoaXPress 4-connector interface. Both camera models are based on the CMOSIS 12MP CMOS sensor (CMV12000) featuring a resolution of 4096 x 3072 pixels, 5.5 µm square pixels and global shutter technology. 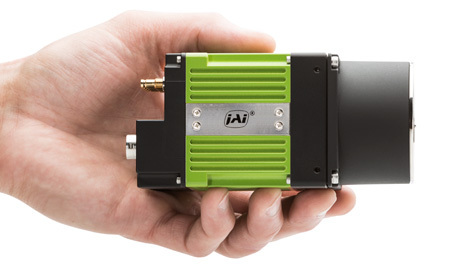 Based on well-crafted JAI electronics design, the Spark SP-12000-CXP4 delivers a super-fast frame rate of 189 frames/s in full 12 megapixel resolution at 8-bit. This is the fastest frame rate of any comparable 12 megapixel CMOS camera presently available on the market. Large format 12 MP CMOS imager (global shutter). Furthermore, the SP-12000 cameras have a rugged design to be able to withstand operating conditions with high vibration effects (max 10G) and high shock occurrence (max 80G), classifying SP-12000-CXP4 with the highest standards for industrial reliability and durability. 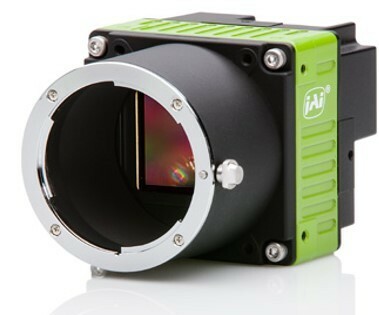 The camera has an impressive MTBF of more than 120.000 hours resulting in low cost of owership. For more extreme temperature conditions, two “extended temperature” models are also available. The SP-12000M-CXP4-XT (monochrome) and SP-12000C-CXP4-XT (color) utilize a ridged housing and internal temperature sensors for thermal management, plus a built-in cooling fan to achieve an extended operating temperature range of -5°C to +45°C. This is among the best performance specifications compared to similar cameras. Note: these cameras are also available with Power-over-Mini-Camera Link (PMCL) or USB3 Vision interfaces. Contact JAI for more information.